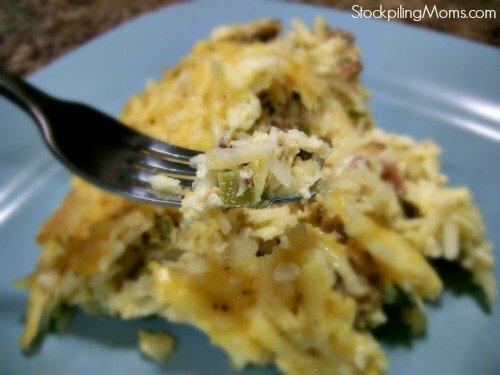 Crockpot Breakfast Casserole is perfect for Thanksgiving or Christmas morning. My family loves breakfast casserole and I always make it when our family comes in town to visit. 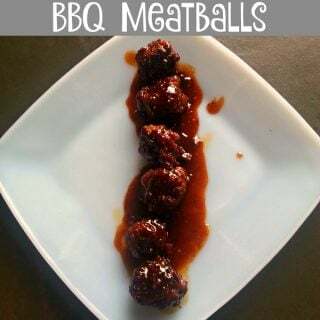 I love how EASY this recipe is! Trust me you will be happy you did! This breakfast crockpot casserole recipe is super easy to make and you can wake up to a delicious breakfast that is ready to serve right away! 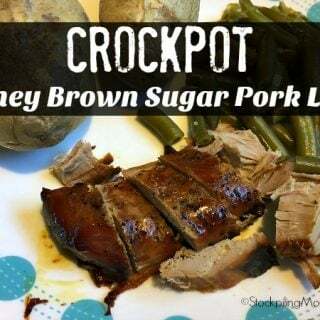 I used a 6 quart crockpot and a slow cooker liner for this recipe to make cleanup easy. I love how easy it is to prepare and really helps to free up an oven for holiday’s. 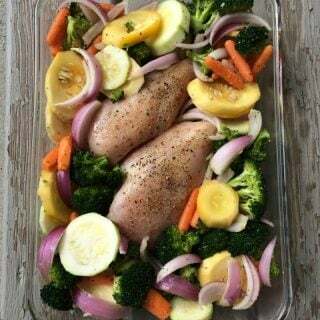 If you want to make this in the oven I am sure using a 9×13 you could bake at 350 for an hour. I haven’t tried that though because I like using my crockpot and keeping my oven free. All you need to do is pour the coffee and orange juice and get out the plates and silverware. The kids loved this breakfast just as much as the adults! Based on your crock pot you may want to start watching this at 7 hours to be sure it doesn’t get overdone. I find that one of my crock pots heats a little “hotter” than another one. 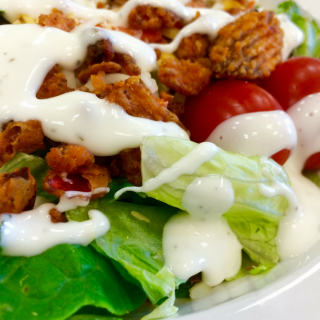 You could also substitute any meat or make this a vegetarian option if you want! I like to serve this with Breakfast Fruit Salad. Check out this slow cooker conversion chart as it helps to figure out if you are adjusting the time. 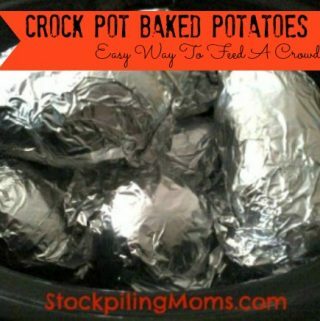 Spray your crockpot with no stick cooking spray or use a slow cooker liner and spray it. 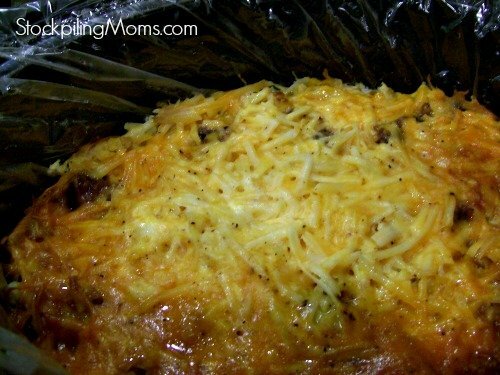 Layer frozen potatoes, bacon or sausage, onions (if using), green pepper (if using) and 1 cup shredded cheese in the crock pot in two or three layers. 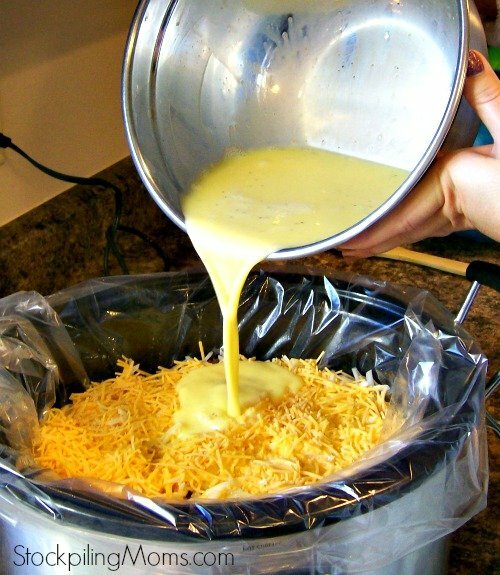 Sprinkle the remaining 1 cup shredded cheese over the top evenly. Beat the eggs, milk, dry mustard, salt and pepper together. 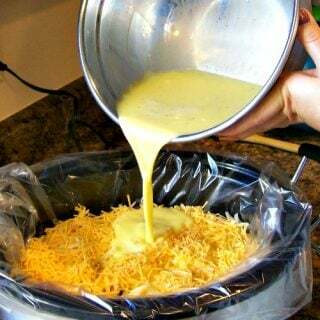 Pour the egg mixture over the cheese evenly in the crockpot. Cook on low for 7 to 8 hours or until eggs are set and thoroughly cooked, start this at midnight and wake up to a delicious breakfast! I used a crockpot liner sprayed with non-stick cooking spray for easy clean-up. The casserole may burn along the edges a little bit so watch your time the last hour. What size Crockpot again? Hahaha. Just kidding! 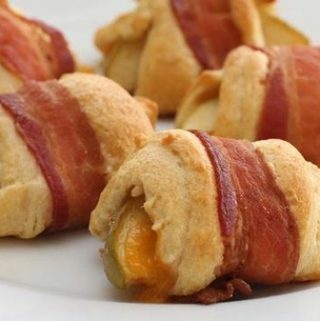 Can’t wait to make this tomorrow for Christmas Eve brunch! Was looking for an overnight breakfast to try for Christmas morning this year. Found this and looked very simple and very little prep. We always spend Christmas Eve at the inlaws out of state and always get home very late so this was perfect!! 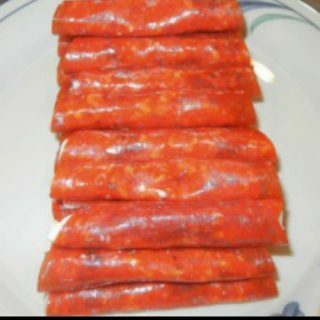 Took me few minutes to put together as I had cooked the ground sausage earlier that day and hit start on my crock pot. We woke up to the most amazing breakfast! Honestly this was our best Christmas ever. Not only did we enjoy an amazing breakfast together, we also did not have to be in the kitchen and miss our toddlers first ‘real’ Christmas as he opened his gifts and I tended to a newborn. Bravo! My husband thinks I’m a great cook and multitasker and really has no idea how easy this was for such an amazing taste. Yay! You made our day! 🙂 Thanks so much! Crockpot Breakfast Casserole Recipe is our favorite and so easy to make for holidays or large crowds. 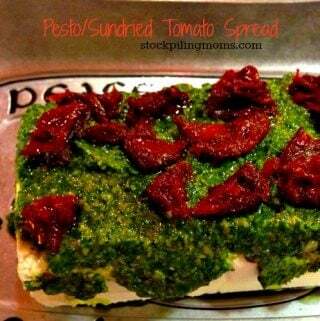 I think so – check this recipe out and I bet you can adapt. You think I could cook an evening in advance then warm it up the next day? Would that “ruin” it … warming it up ? 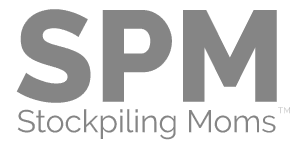 Did you try this method? If so, did it work? If there are leftovers. Is it okay to reheat them? What is the best way to reheat them and how long do you use suggest keeping them for? 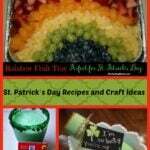 OR do you have an alternative recipe if you would have cut it down to eat maybe for 4-6 ppl. Thanks. Oh yes, just reheat in the microwave. 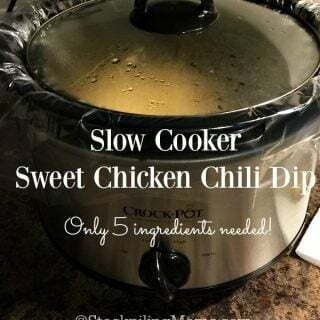 You could 1/2 the recipe and cook in a 4 qt slow cooker. Could you use bacon instead of sausage? You can – just pre-cook your bacon. This sounds good! Could you substitute the hashbrowns for frozen diced potatoes? Yes, but be sure you are using a 6 Qt. Crockpot or larger. Could you do this on high? Or is it better cooking on low? Yes you can do on high – just reduce time by 1/2. I am fixing frozen casseroles for our church. 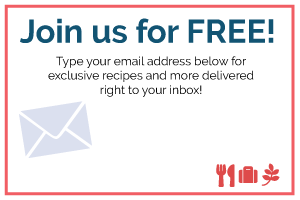 Could this recipe be frozen? We have never frozen this one but it might be ok? Could I use fresh shredded potatoes? Yes but they may get done quicker. 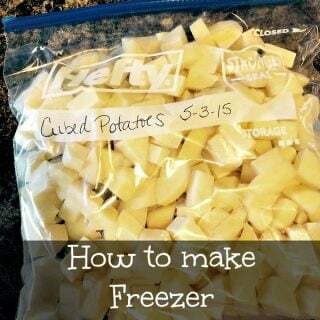 You could do fresh potatoes and freeze them. 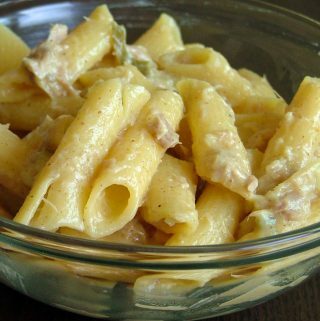 Is it possible to increase this recipe to serve about 15 people? Or will it be too much for the crockpot to handle? Hi this is one of my staple recipes but this year we aren’t eating bread and potatoes. Anything I could substitute for the potatoes?? Thanks!! 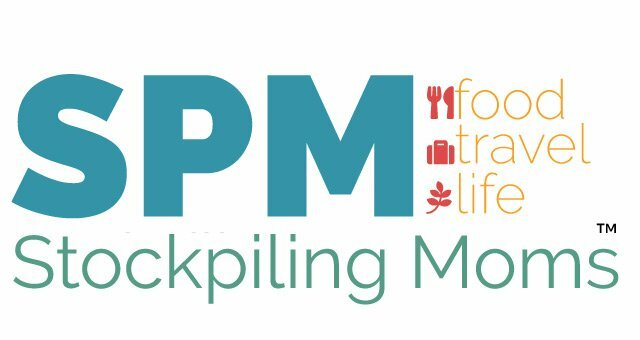 I may not have 8 hours; how long would crockpot cooking time be on high? Thanks! I’m making a breakfast casserole for church on Easter so I made this for home to see if it would pass the test. It got an A++. It was awesome. Everyone loved it. I made half the recipe and I thawed the potatoes first. The rest I followed exactly.It was done in 4 1/2 hours. Will definitely make again. 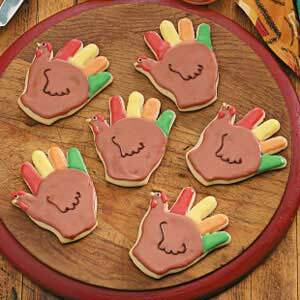 I want to make this for our Sunday School class but it doesn’t start till 11:00am. If I start it at around 11:00 at night, 7 hrs would be 6:00am. Will it still be ok at 11:00 am? I do think so but I would consider doubling it or turning it to warm and checking to be sure it doesn’t get over done. I’m not sure how yours cooked for 8 hours? Did you cook on high or low? We have our grand kids and parents over for a dinner every week. This week the kids requested a Breakfast for dinner. 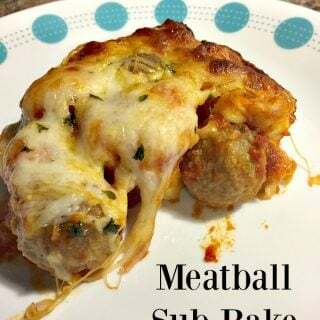 I came across this recipe and think I have a winner ! Thanks! PS: Clean up will be a breeze. Hi; just came across this recipe and wonder uf it will work with egg beaters in place of the eggs? 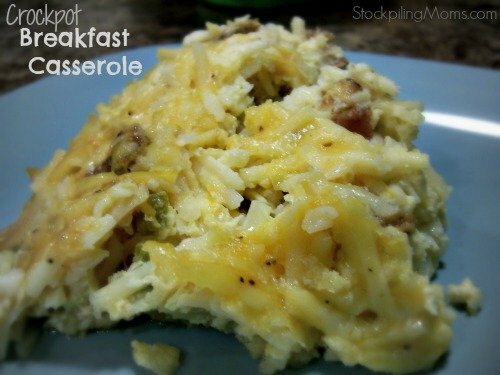 I thought this was rather bland and a lot like other breakfast casseroles. It needed a broader flavor profile. 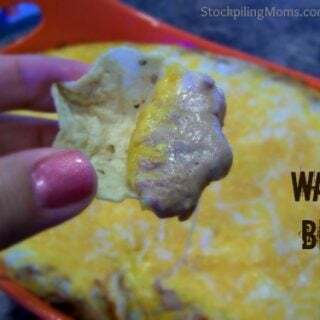 I think that green chile would be a good addition to this and maybe onion. Also, I cooked mine for 6 hours on low and it was almost overcooked. 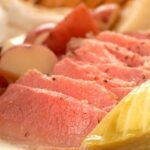 I have been looking for a good slow cooker recipe for Christmas! This sounds like what i have been looking for but thinking of a few adaptations to work. Just wondering if they have been tried. 1. Not a fan of shredded potatoes so thinking either frozen diced or fresh diced potatoes. Do you think one would work better then the other . 2. We are not a fan of peppers and onions but I like the flavors it gives food so I am thinking instead of dicing them to slice them that way they can be picked around but still have the flavor. Do you think that could work.